Don’t you just love it when you pick something up in the supermarket, full expecting not to be able to eat it, only to discover it’s gluten free? Well, my friends, I’ve been on a mission to find the foods that make every gluten free person feel that sense of happiness! I previously wrote a post on seven foods you might not know were gluten free, and it was so popular I’ve decided to seek out some more treats for you. 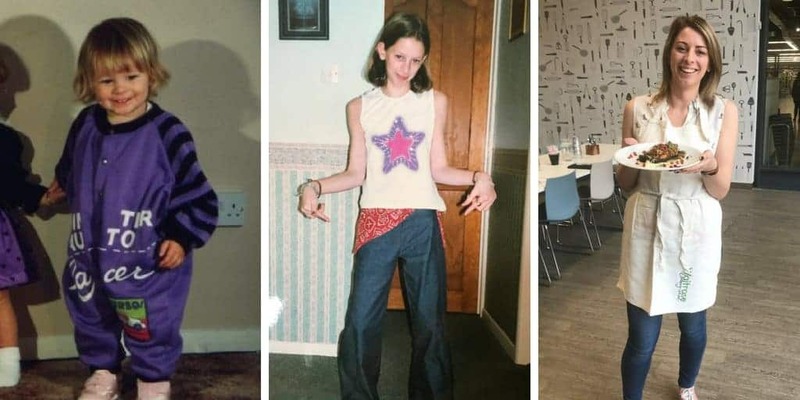 How many of these have you tried before? 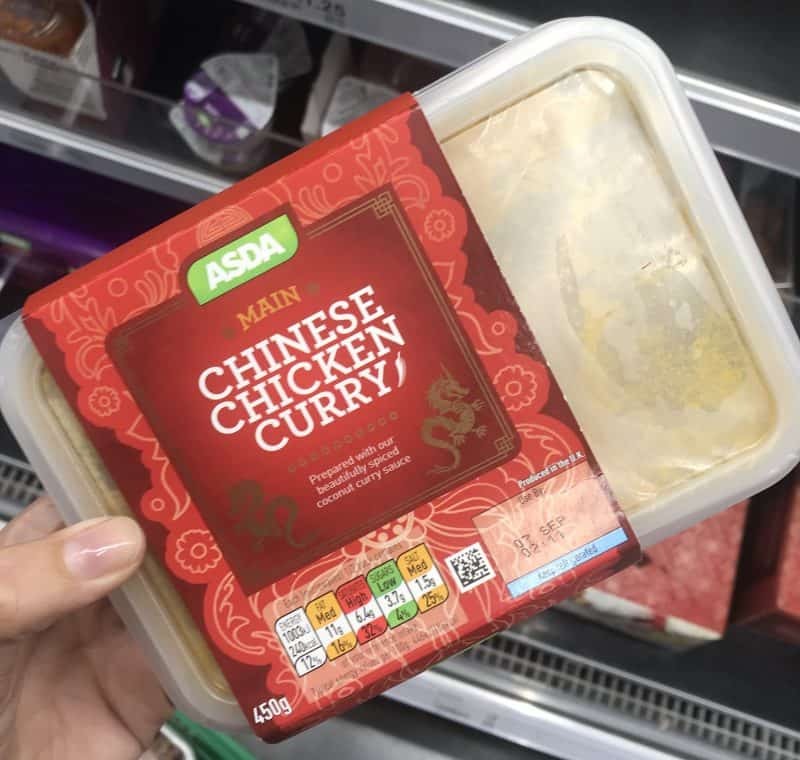 Chinese food is normally off the menu completely, but this Chinese chicken curry from Asda doesn’t contain any gluten! 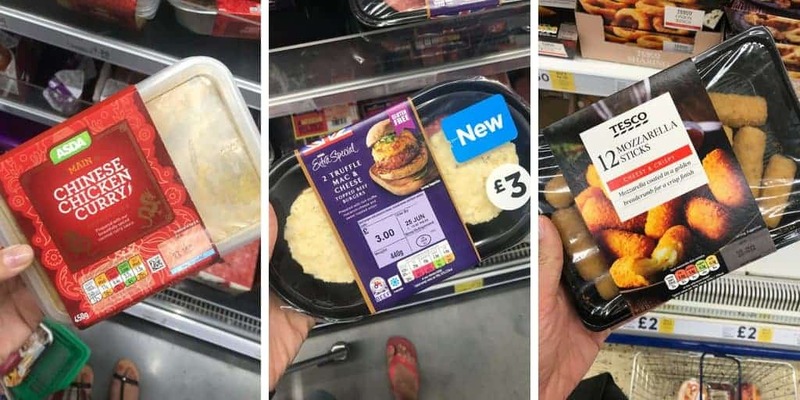 Just be careful because there is a different one (with rice) which does have gluten in, so double check the packaging before buying. And just to make things more confusing (in a good way!) the Asda egg fried rice in this range is also gluten free too. Hurrah! 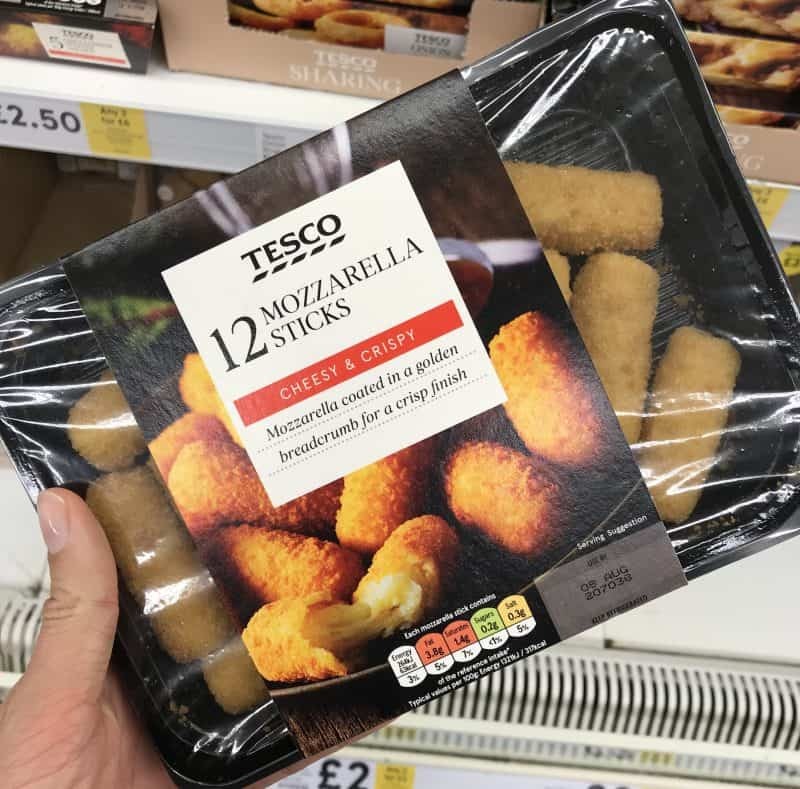 I was very pleased to see these gluten free mozzarella sticks with the party food in Tesco. They usually bring them out at Christmas so it’s great to see them all year round – you can get them as part of a deal at the time of writing this too. 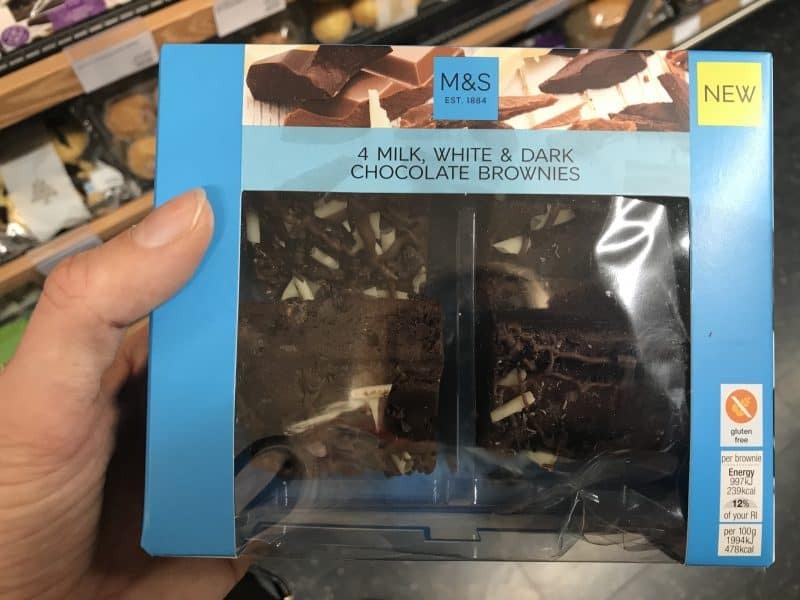 These cute boxes of little brownies in Marks and Spencer are lurking in the dessert aisle, but are gluten free! They look delicious and I know a lot of coeliacs are sick of brownies being the only option – but these look particularly tasty. 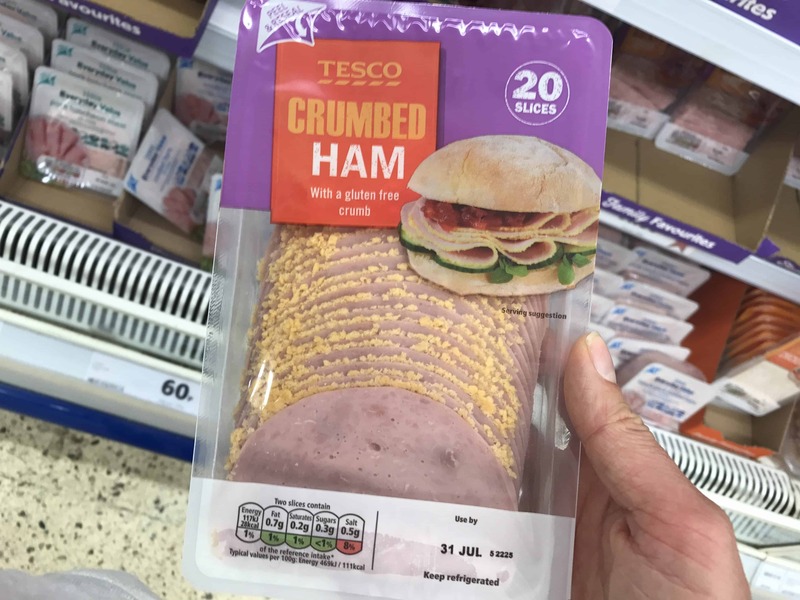 Normally I’d run far, far away from ham with breadcrumbs on it, but this crumbed ham from Tesco actually uses a gluten free crumb. Hello easy option for gluten free lunch boxes. 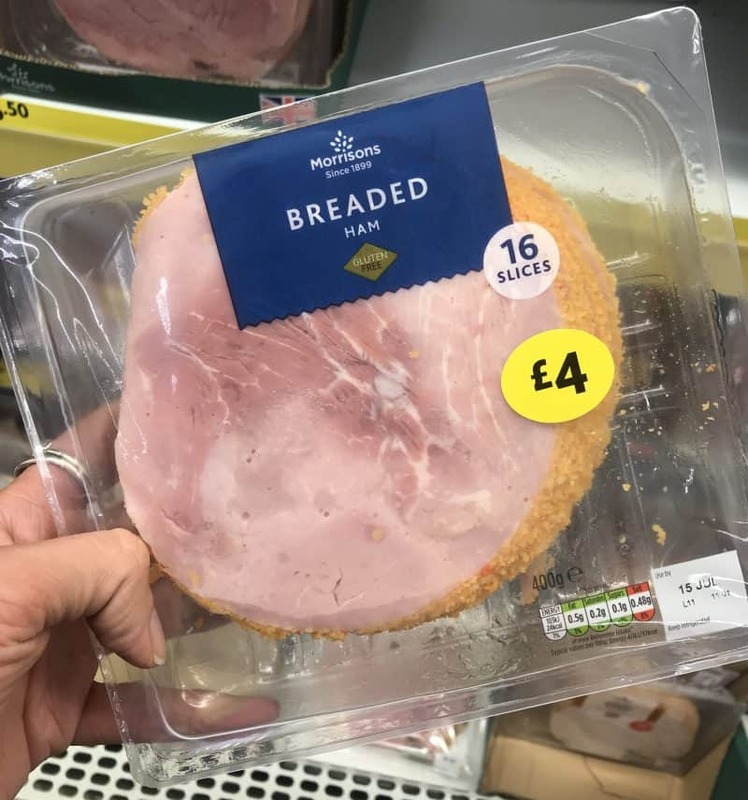 And while we’re on the subject of crumbed ham, Morrisons has made its line of ham all gluten free as well. Gluten free breadcrumbed ham all round! 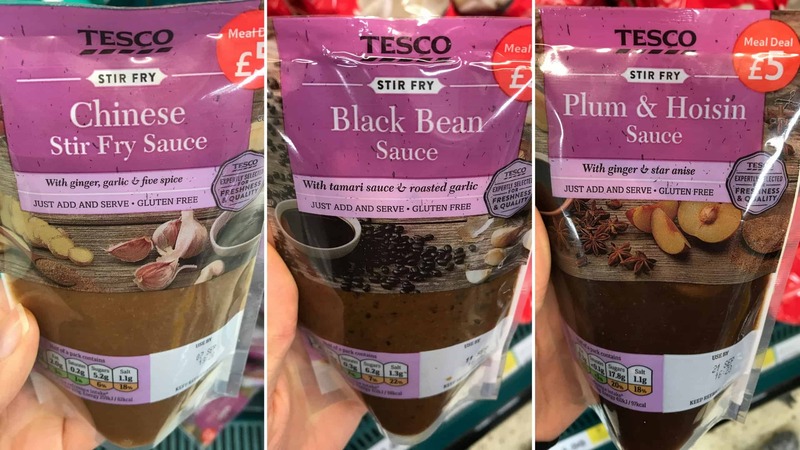 Did you know all of the Tesco stir fry sauces are gluten free? If you thought your dreams of a gluten free black bean sauce or plum and hoisin sauce were over, think again. Friday night fakeaways are saved. 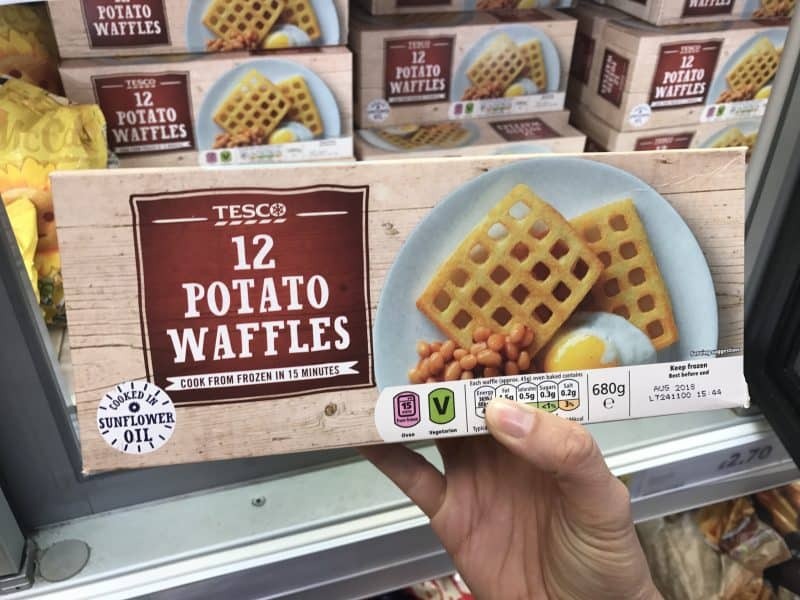 I completely blame Twitter-friend David for this one – after a long discussion about what to have for dinner, I bought some of these Tesco frozen potato waffles, which are gluten free, and now I just can’t stop eating them! I love them with fried eggs on top and bacon for a breakfast treat. 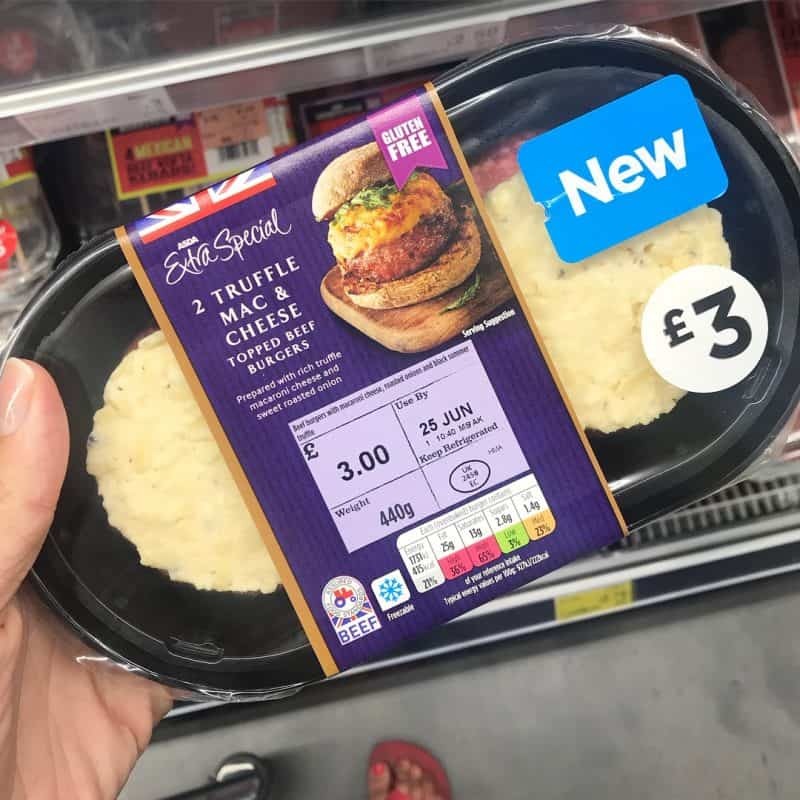 Usually I wouldn’t bother looking at this sort of food for fear of disappointment – so imagine how excited I was to find out these truffle mac and cheese burgers are gluten free! I don’t think barbecues will be the same again. Any other gluten free finds? 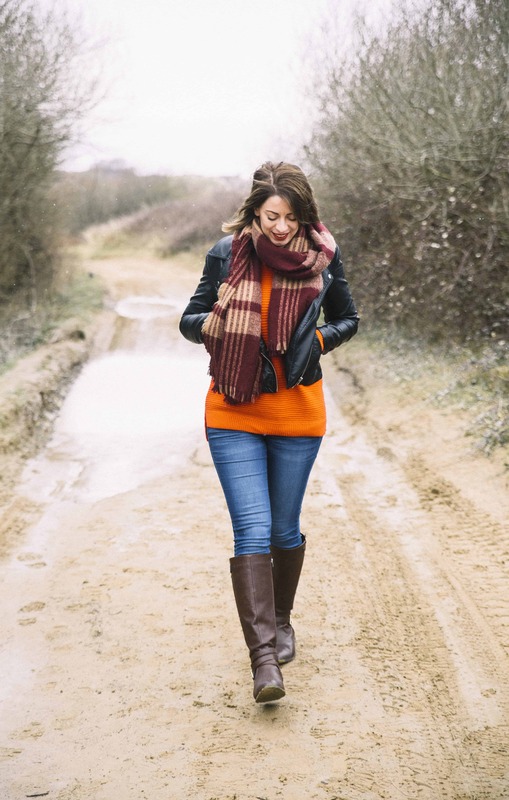 I’m always scouring the supermarkets to see what’s new, but if you’ve found anything I’ve missed, give me a shout! Comment below and let me know or tag me on my Facebook page, Instagram or Twitter. Read more: 7 foods you didn’t know were gluten free in the supermarkets – but they are!